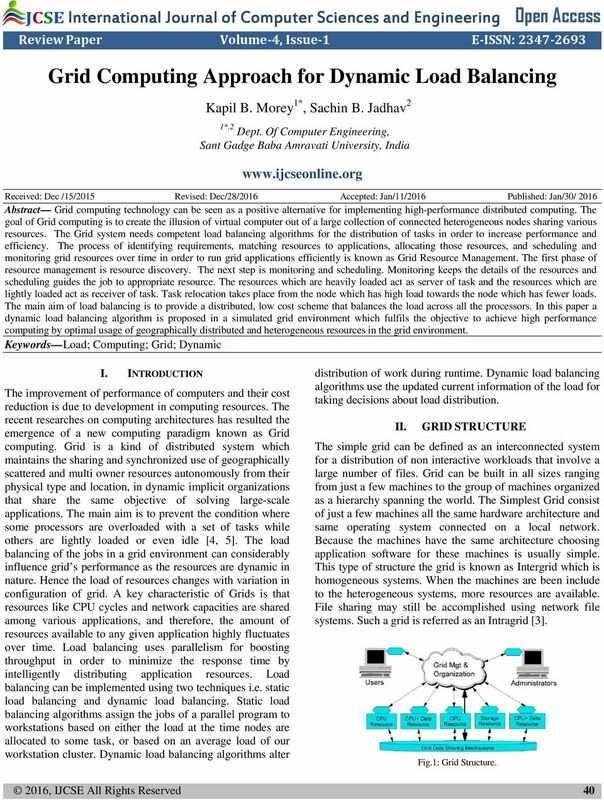 Download "Grid Computing Approach for Dynamic Load Balancing"
Efficient Parallel Processing on Public Cloud Servers Using Load Balancing Valluripalli Srinath 1, Sudheer Shetty 2 1 M.Tech IV Sem CSE, Sahyadri College of Engineering & Management, Mangalore. 2 Asso. Available Online at www.ijcsmc.com International Journal of Computer Science and Mobile Computing A Monthly Journal of Computer Science and Information Technology ISSN 2320 088X IJCSMC, Vol. 3, Issue. 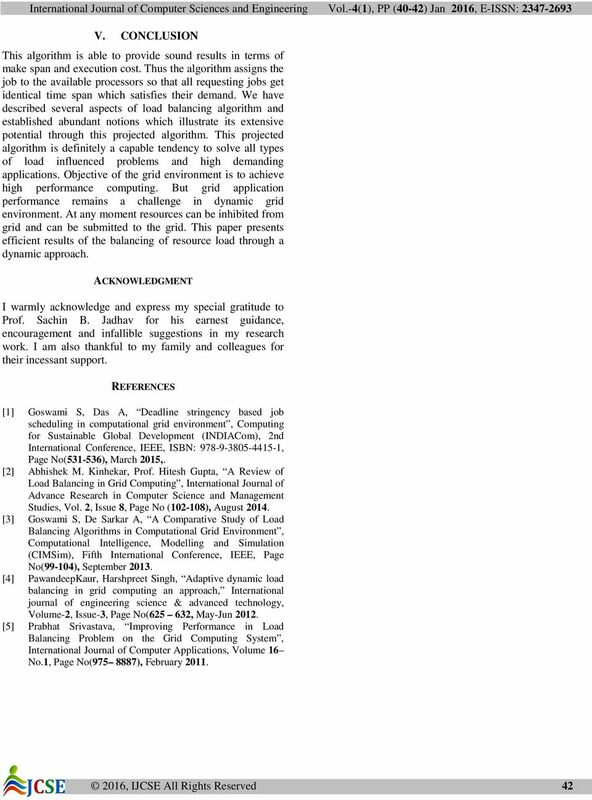 www.ijecs.in International Journal Of Engineering And Computer Science ISSN:2319-7242 Volume 2 Issue 6 June, 2013 Page No. 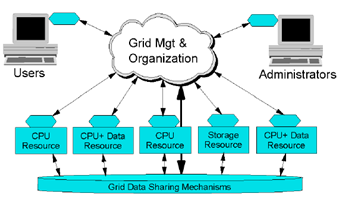 1914-1919 IMPROVED PROXIMITY AWARE LOAD BALANCING FOR HETEROGENEOUS NODES Ms.